Hey, hey, hey, Groove-ophiles! 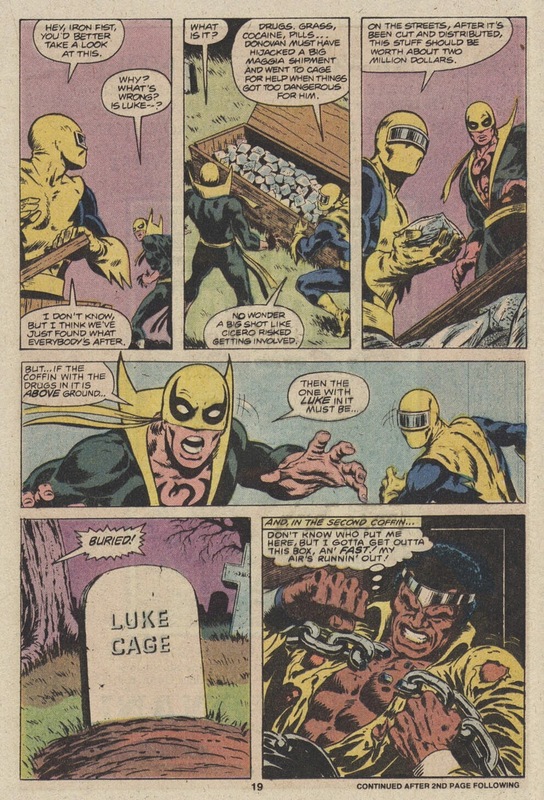 Ya know, from time to time, we've rapped about Luke Cage, Power Man (aka Hero for Hire). 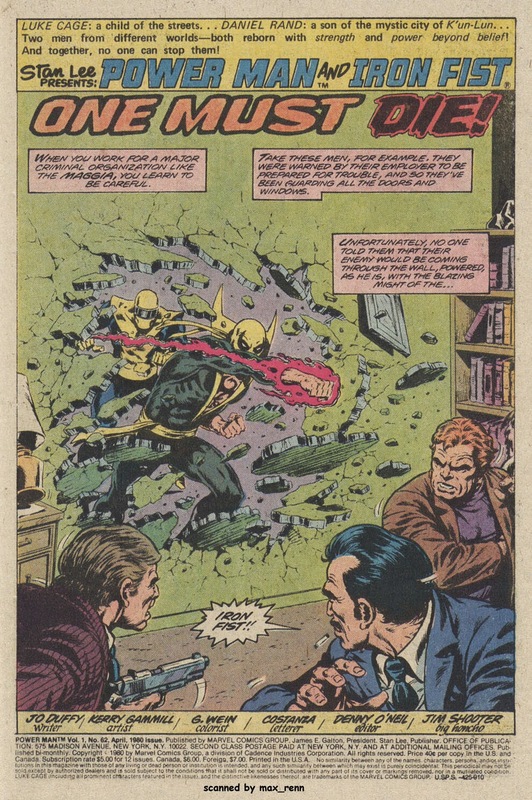 We've gabbed quite a bit about Iron Fist. 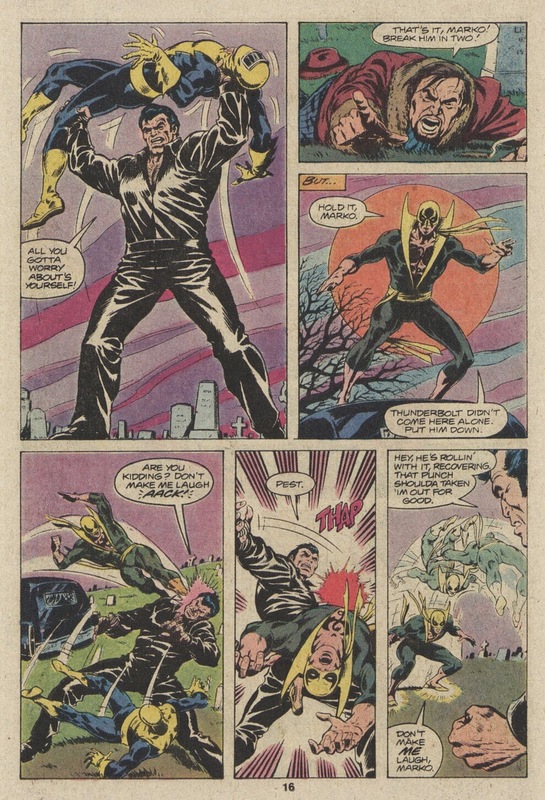 But we've yet to have a sit-down about Power Man and Iron Fist, that awesome merger of Cage and the K'un-Lun Kid that ran from Power Man issues 48-66 (September 1977-September 1980) and Power Man and Iron Fist issues 67-125 (November 1980-July 1986). 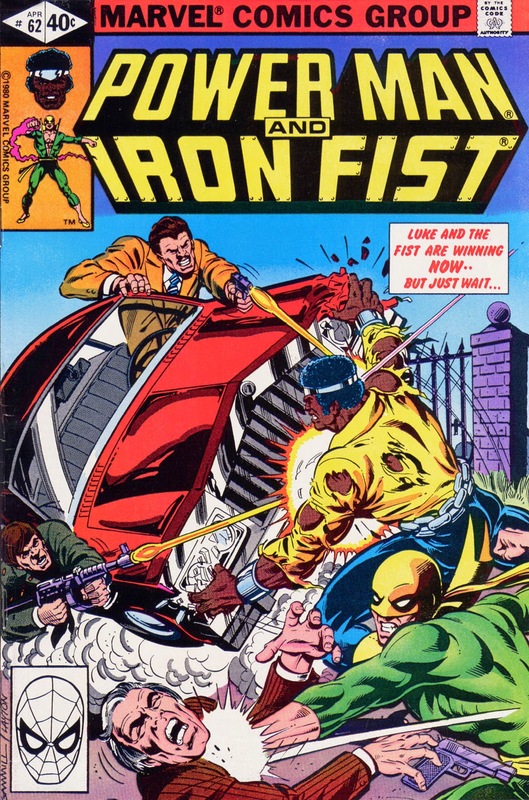 Sadly forgotten, this was one of the absolute best series of the late 70s/early 80s, right up there (imho) with Miller's Daredevil, Byrne's Fantastic Four, J.M. 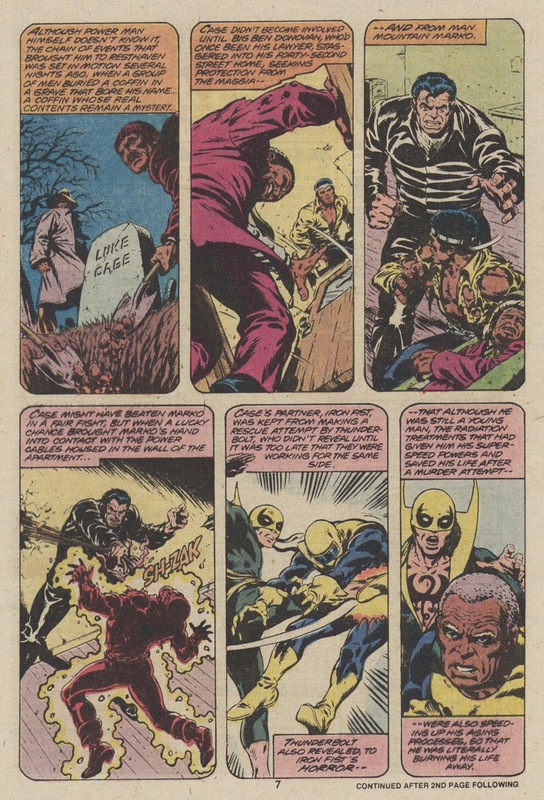 DeMatteis and Mike Zeck's Captain America, David Michelenie/John Romita, Jr./Bob Layton's Iron Man, and Roger Stern's (with Marshall Rogers and Paul Smith) Dr. Strange. 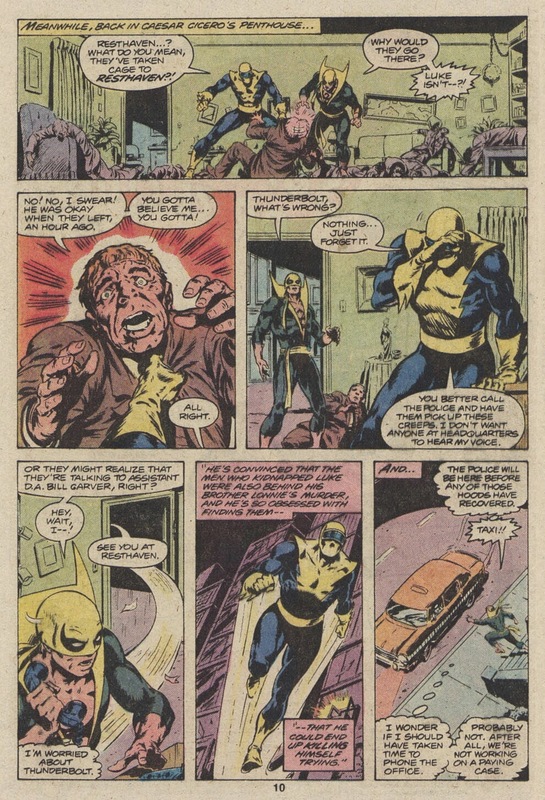 My favorite era of PM/IF was issues 61-79, which was written by Mary Jo Duffy and Kerry Gammill. 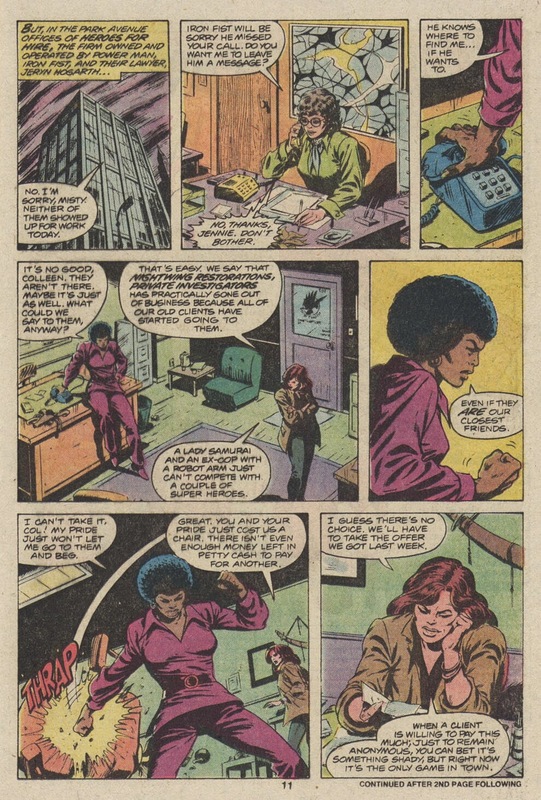 Mixing such disparate but compatible 70s icons/80s has-beens (blaxploitation and kung fu) was actually a stroke of genius, leading to a World's Finest-style mix of cosmic and street-level superheroics, complete with a fantastic crew of supporting characters (Misty Knight, Colleen Wing, Sons of the Tiger, and D.W. Griffith) that added layers (and cool sub-plots) to Duffy's (usually) down-to-earth, humanistic, and often charming stories. 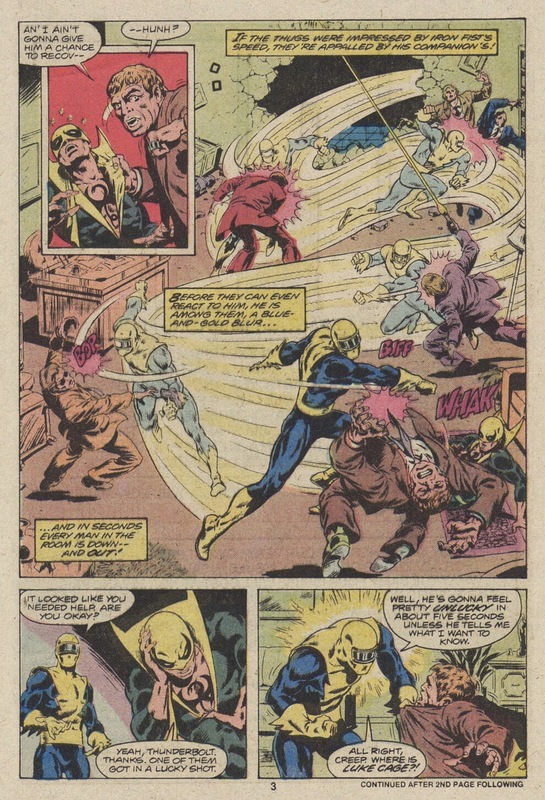 Kerry Gammill's art was perfect for the series, combining the best of John Buscema, Gene Colan, and Don Newton in a totally unique style (and usually inked by Ricardo Villamonte) that could take us to the mean streets of New York to the fantasy world of K'un-Lun and back again in dynamic, action-packed, cleanly-told pencils. Yeah, PM/IF was a classy, top-notch mag that deserves to be remembered. 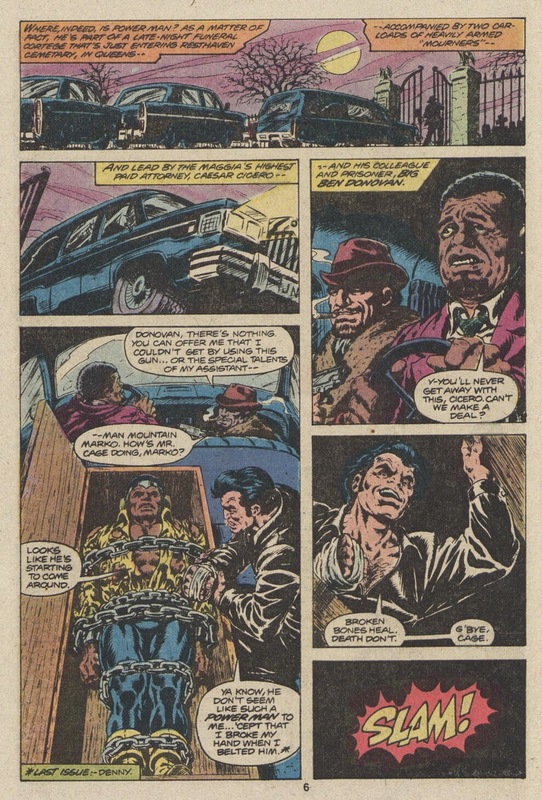 Just take ish #62's (January 1980) "One Must Die!" for example. 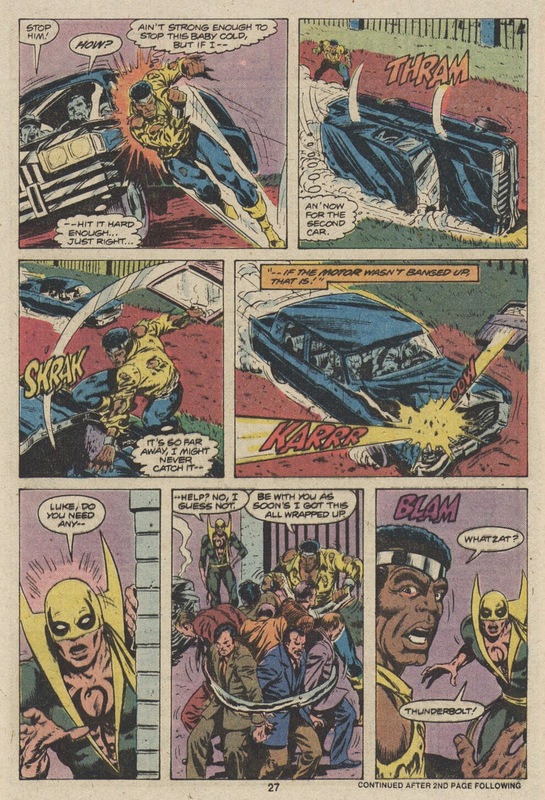 Duffy and Gammill tell a riveting, powerful story using an old Daredevil street gang and supporting characters (Thunderbolts and Billy and Lonnie Carver from Daredevil #69), Marvel's version of a major branch of organized crime (The Maggia), a third-rate Spider-Man villain (Man-Mountain Marko), and a "new" superhero (tribute to T.H.U.N.D.E.R. 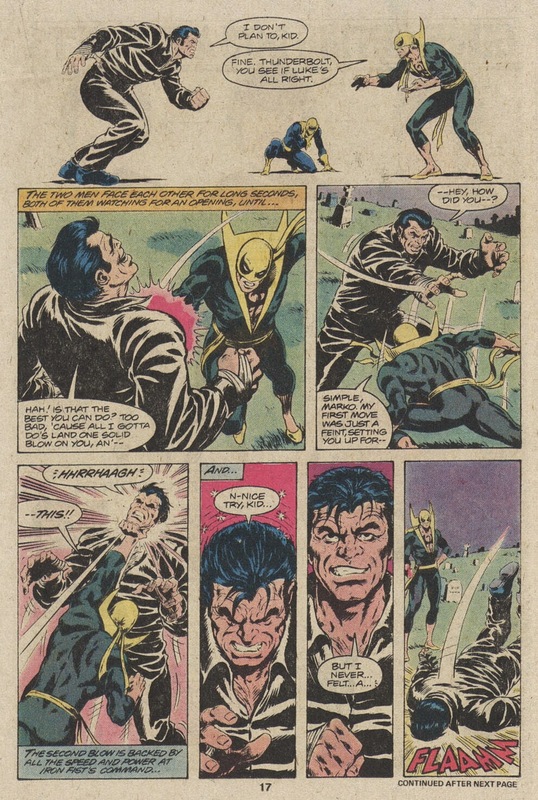 Agent Lightning?). Just check it out, baby! Thanks for posting this. 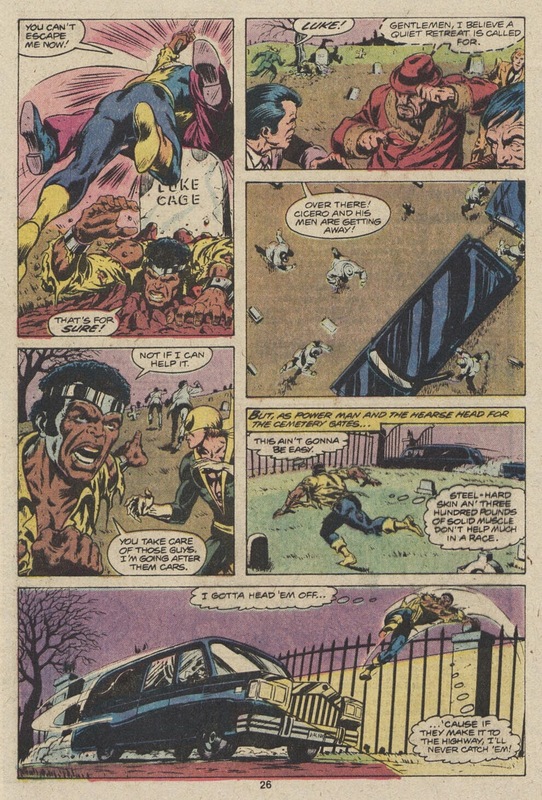 PM/IF was one of my favorite series during the late 70's/early 80's. 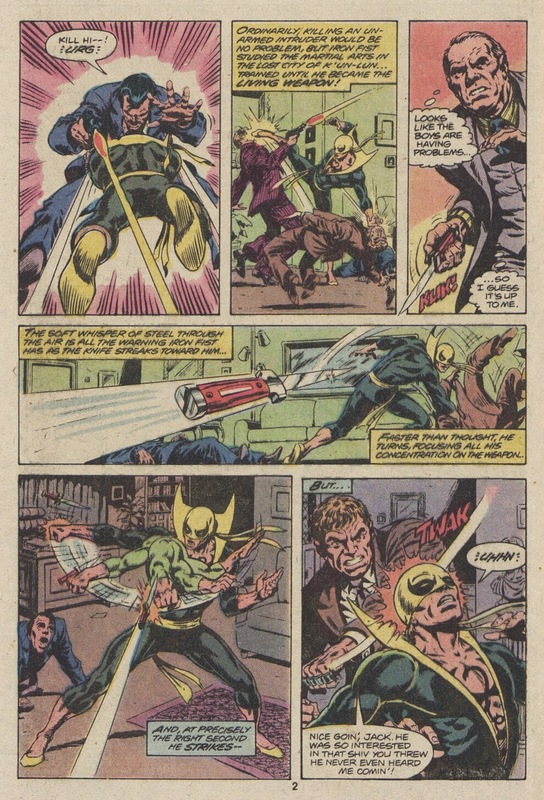 I think it gets lost in the shuffle with all the other great Marvel series going on at the same time, but it still holds up pretty well. 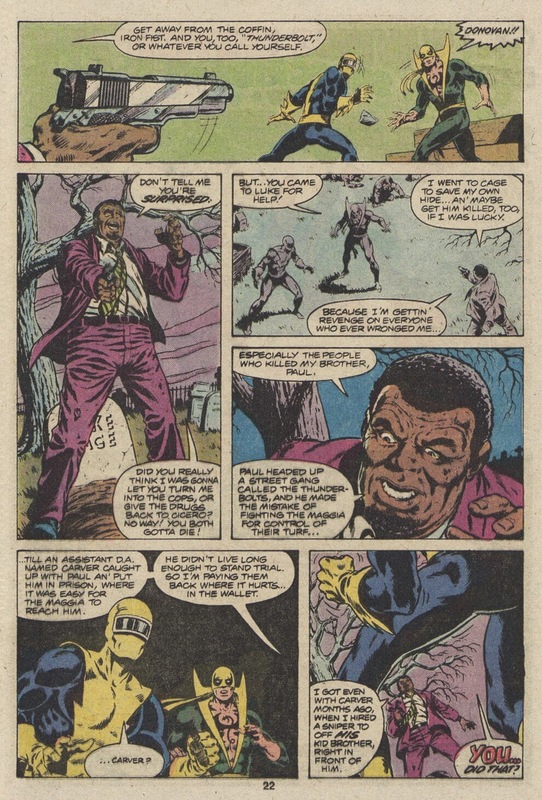 I really enjoyed Power Man and Iron Fist issues 74 and the double-sized 75, featuring the return to K'un-Lun. 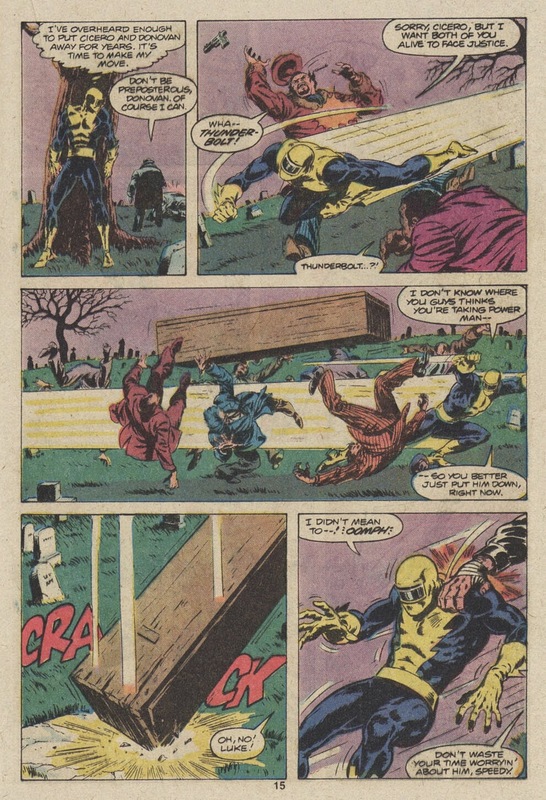 Fun story by Duffy and outstanding art by Gammill. 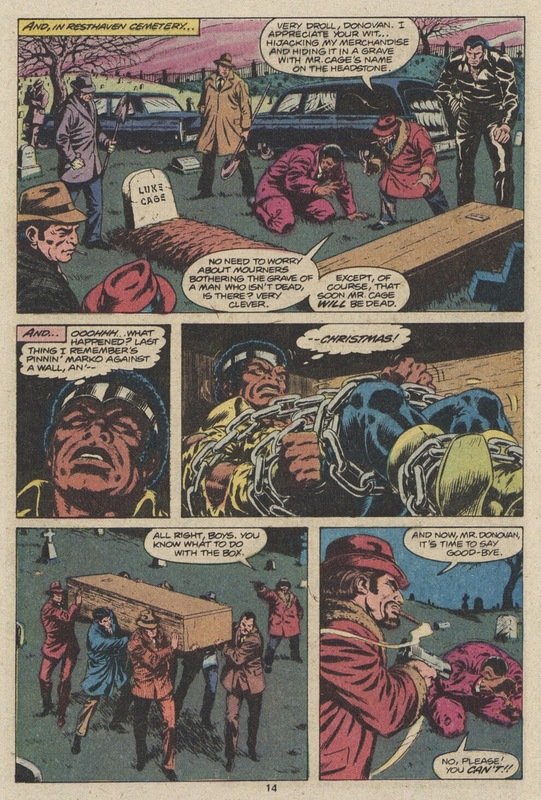 I wish I had read more of their run! I completely agree with you about PM & IF: it was a really solid, and kind of underrated series. And yes, an awesome supporting cast. 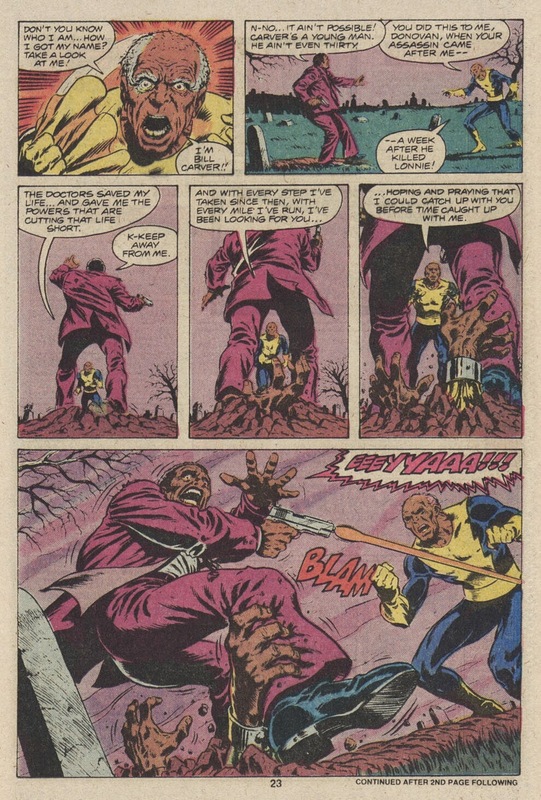 Also, I can't argue with your choice of the series' best era, i.e., the issues numbered in the 60s and 70s. 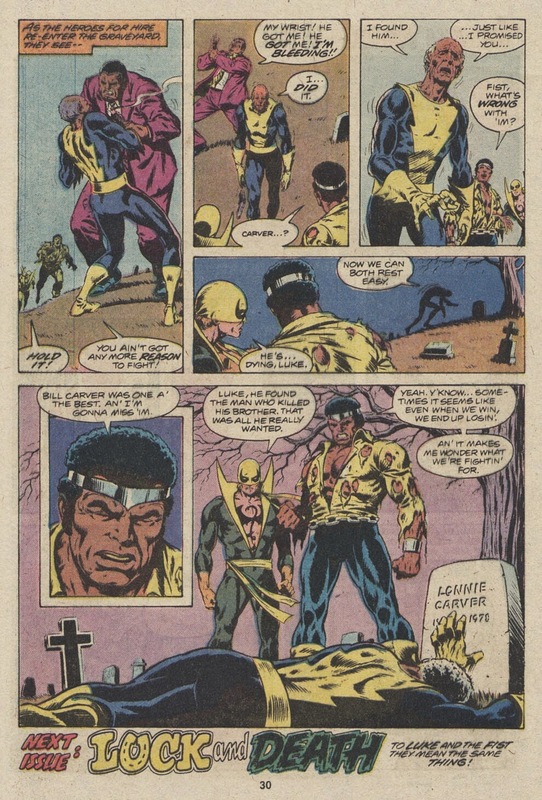 This is a really good story, too, although it's a bit of a bummer that such a cool character, Thunderbolt, dies at the end.